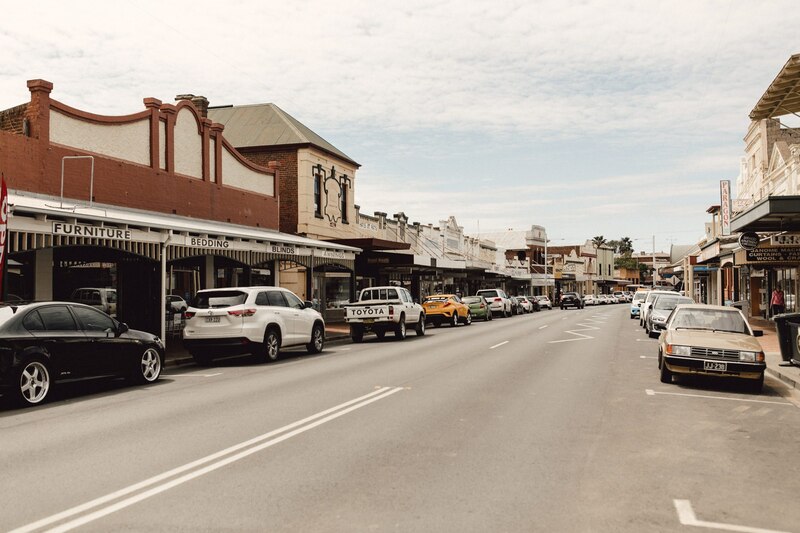 A plane ticket to Canberra, a rental car, a couple of hours drive west passing through blooming canola fields saw me reach West Wyalong. 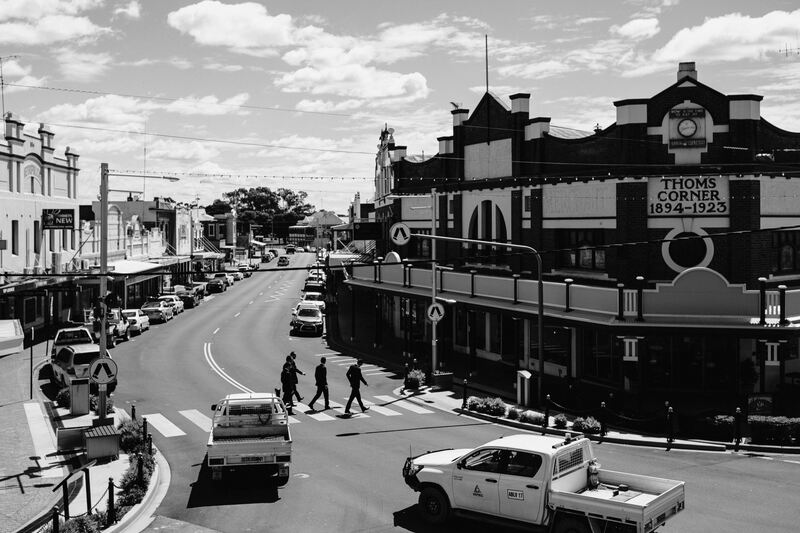 A little town is in central western New South Wales, around 500km west of Sydney. 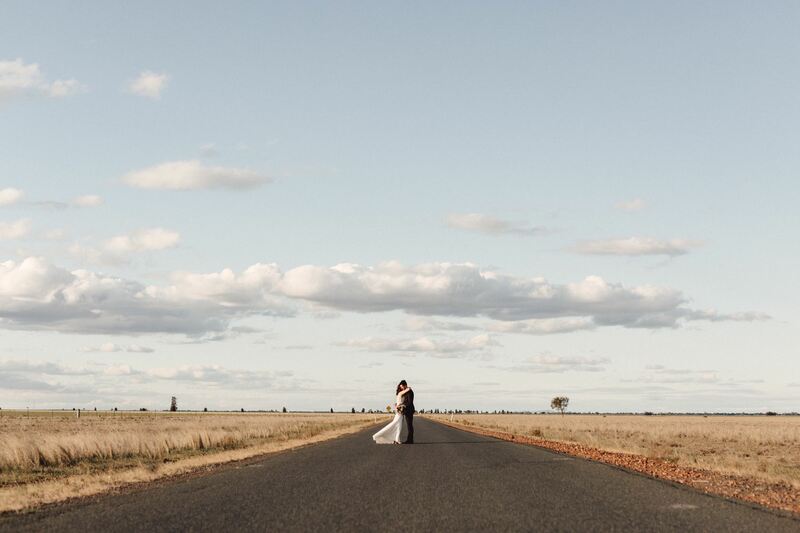 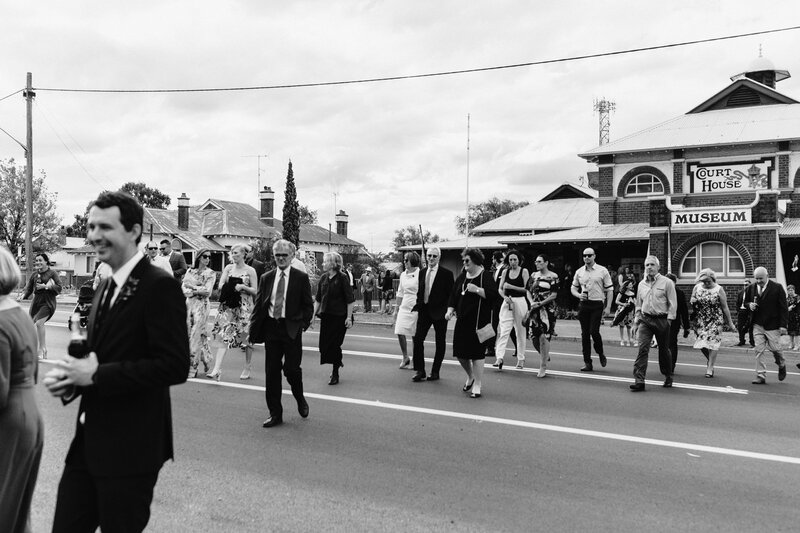 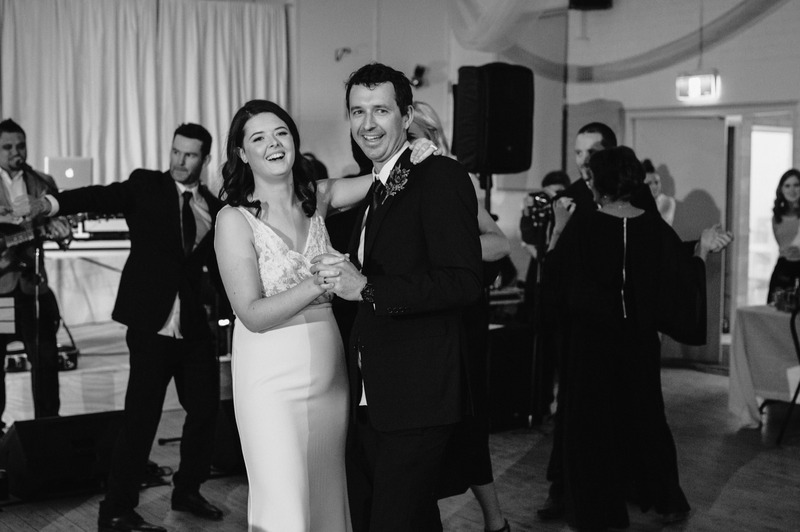 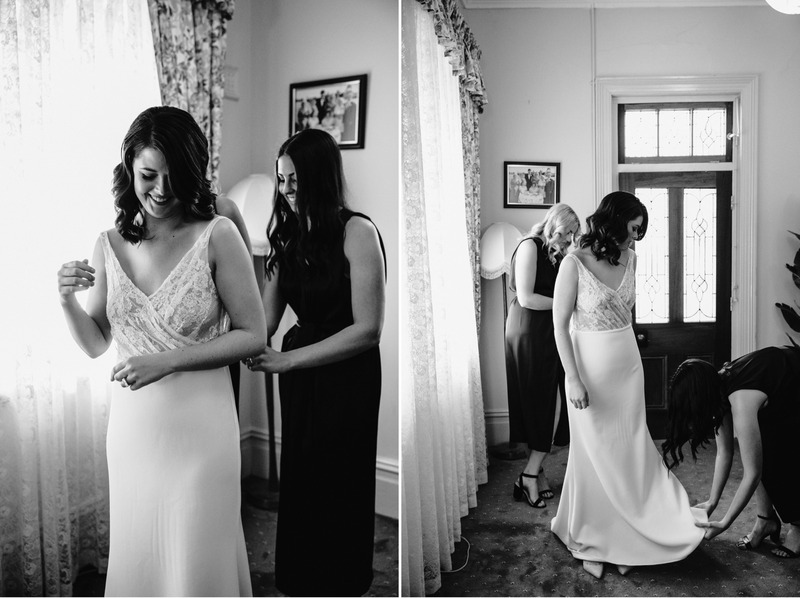 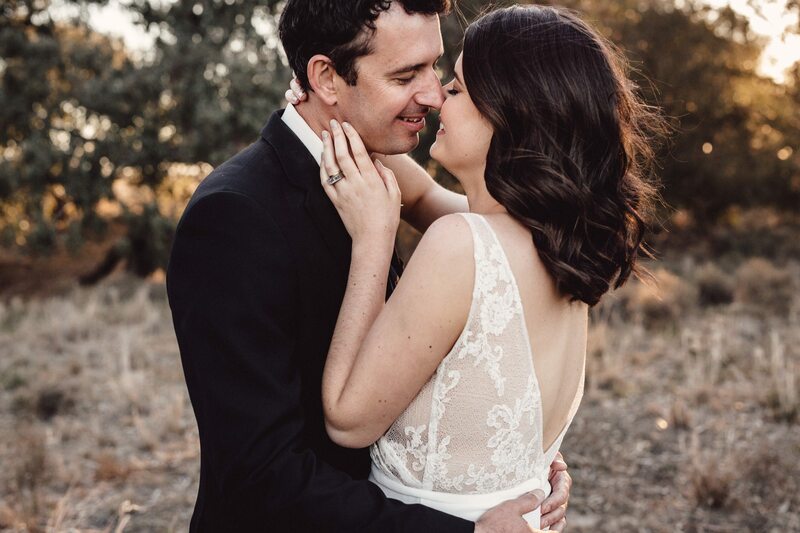 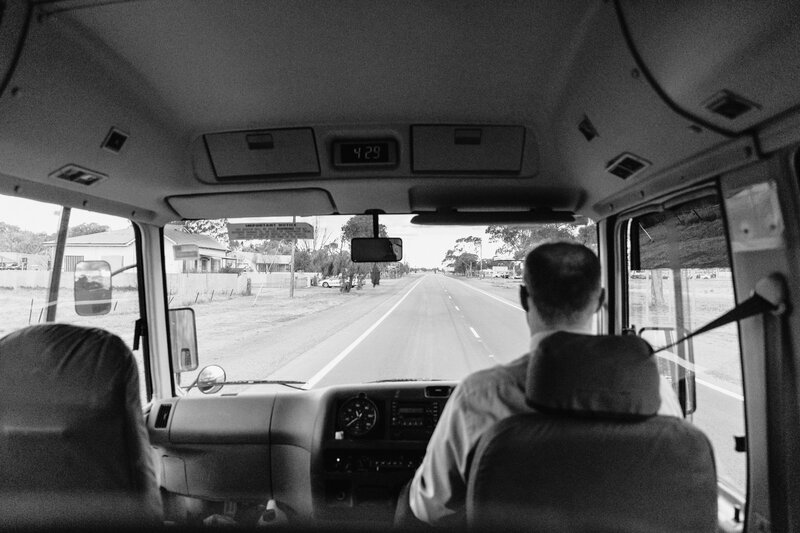 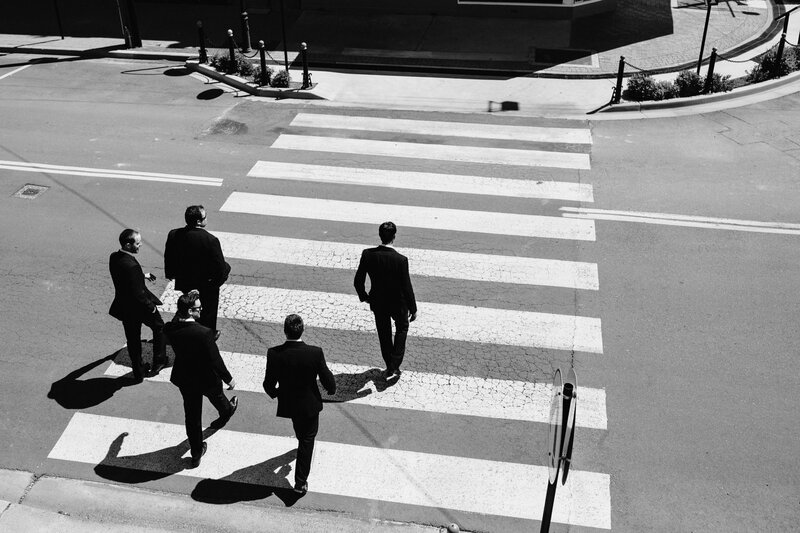 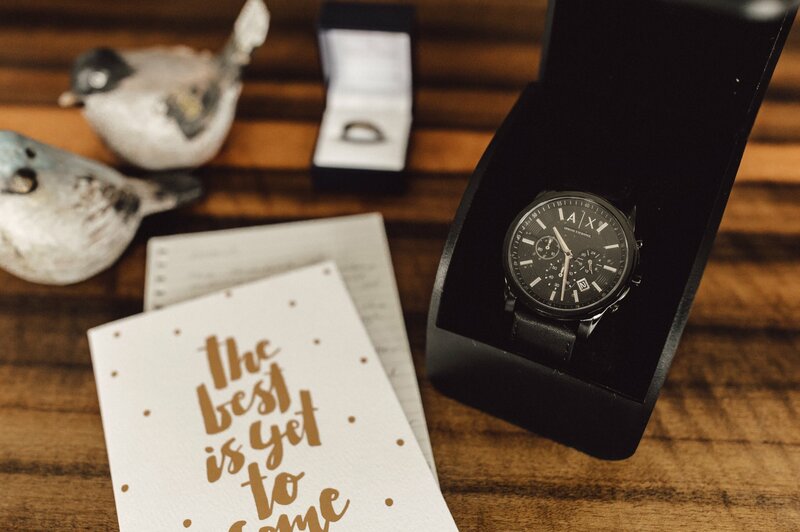 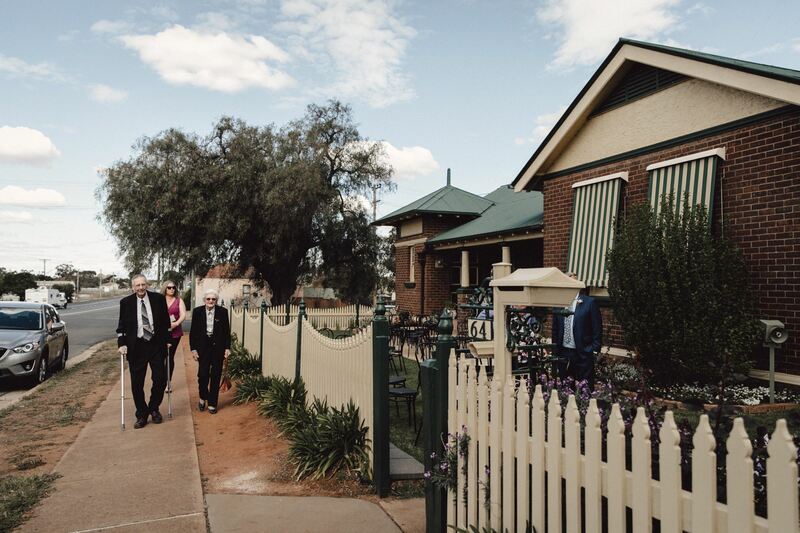 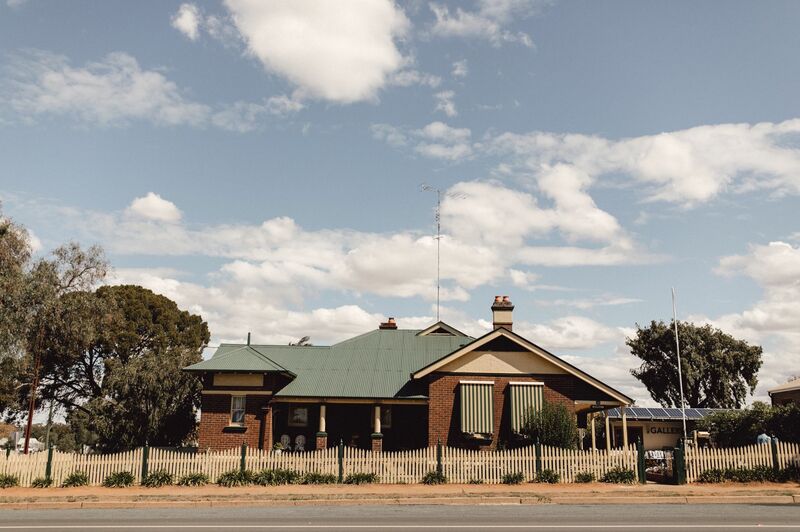 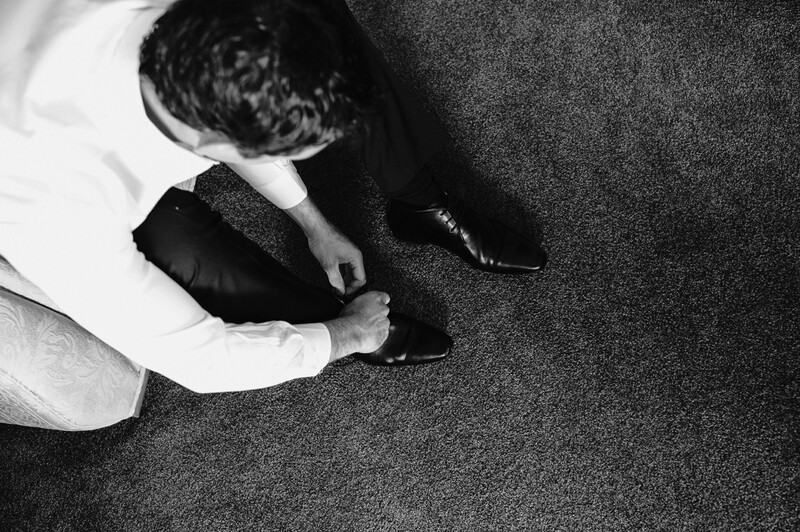 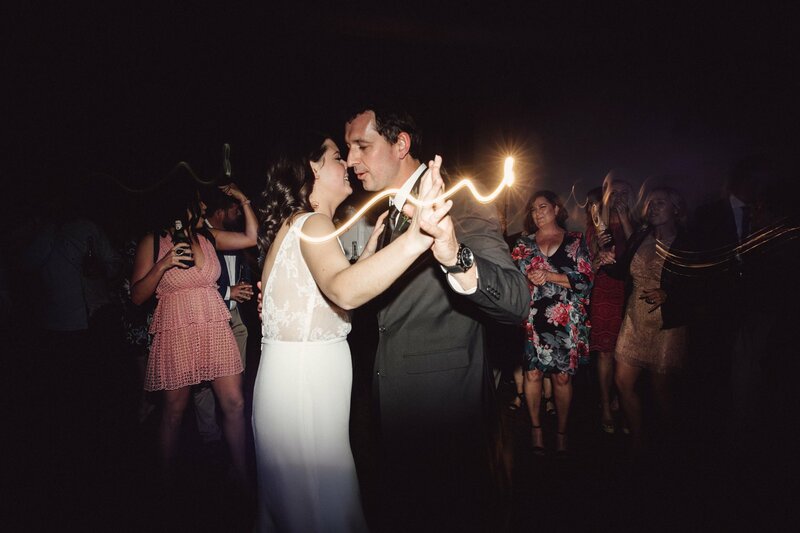 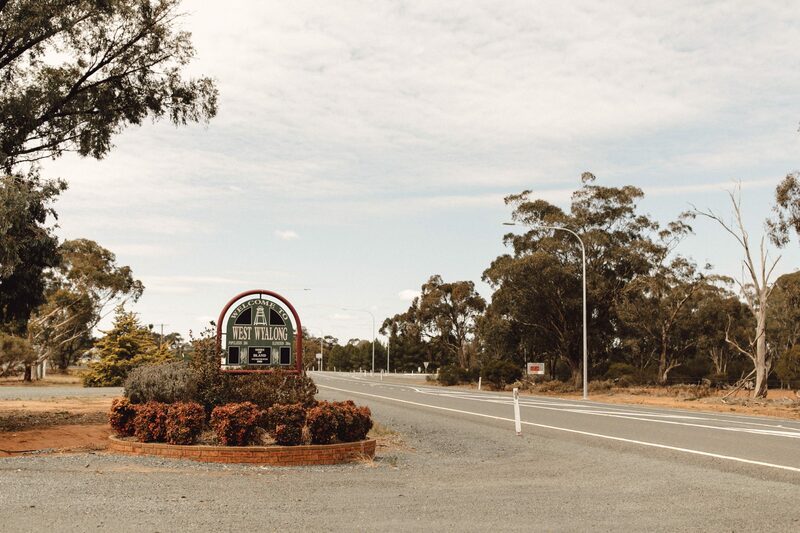 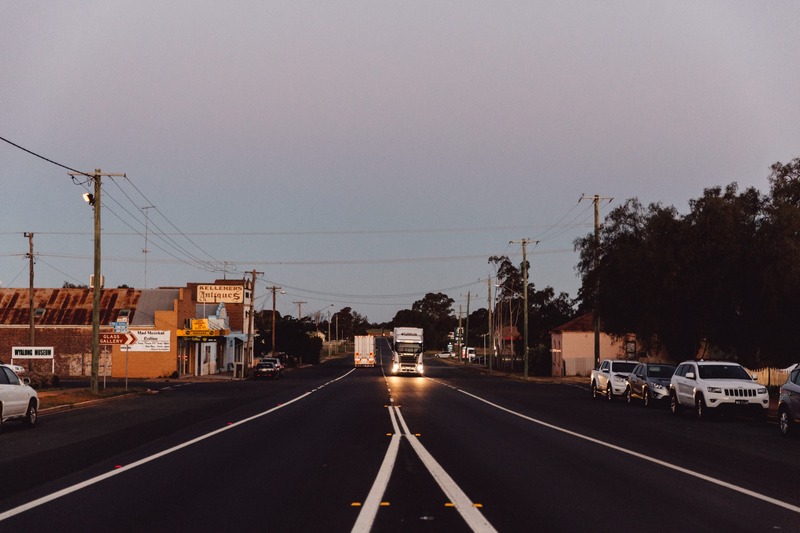 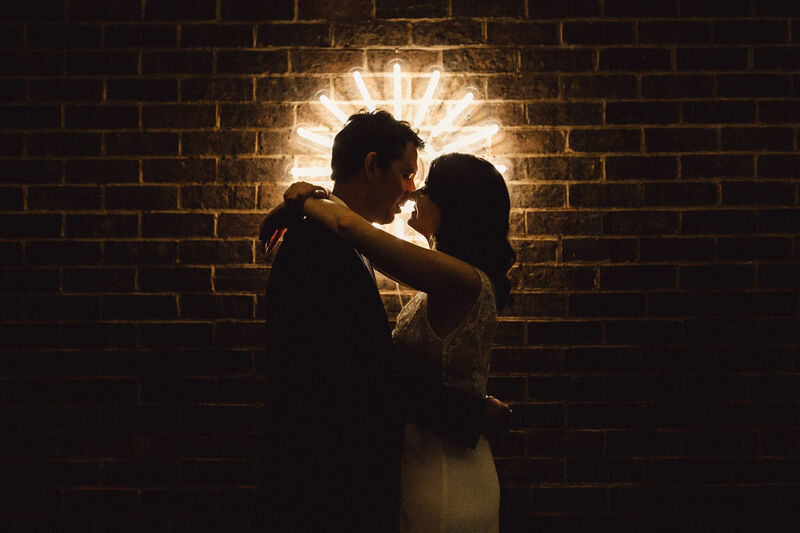 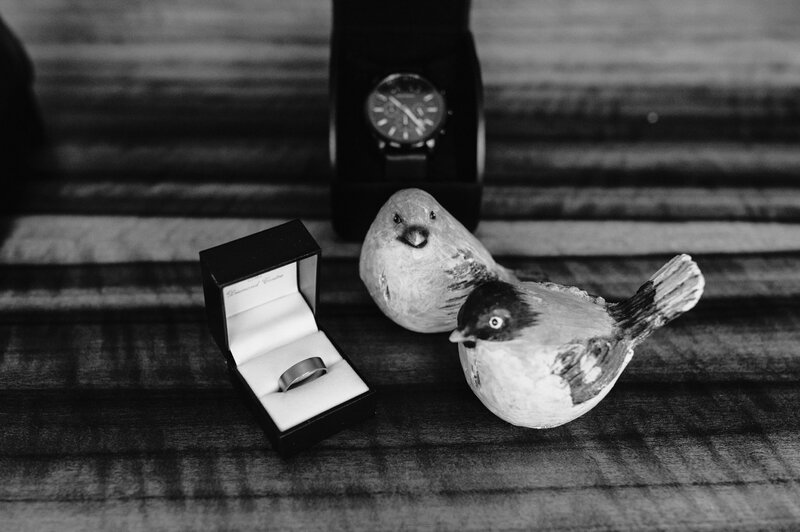 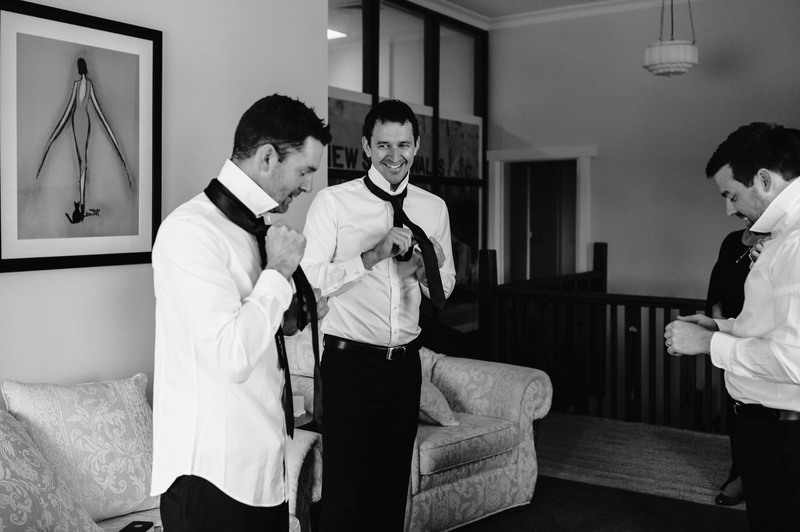 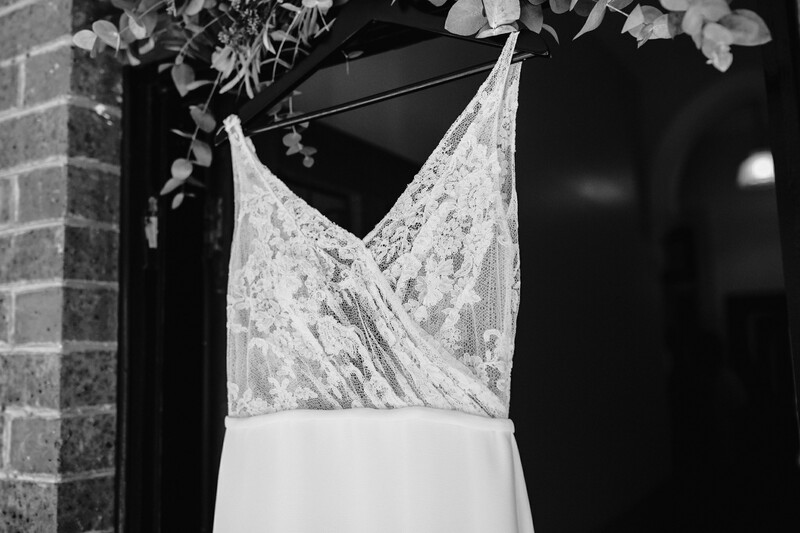 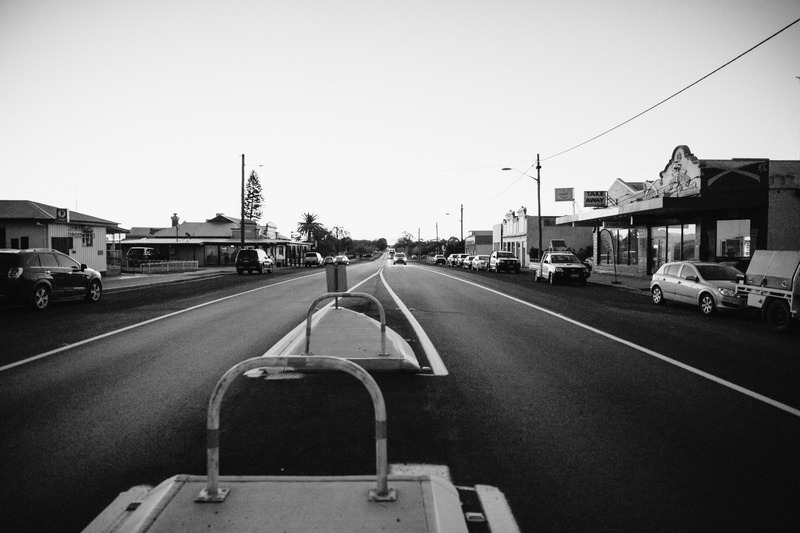 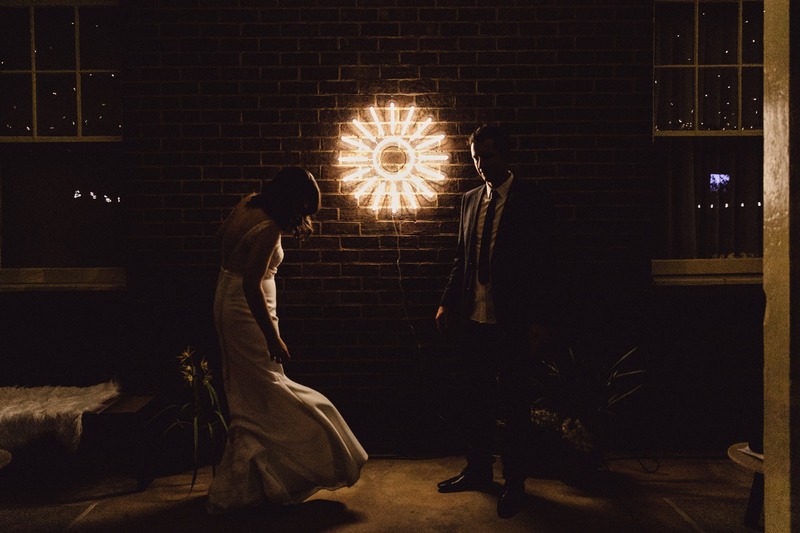 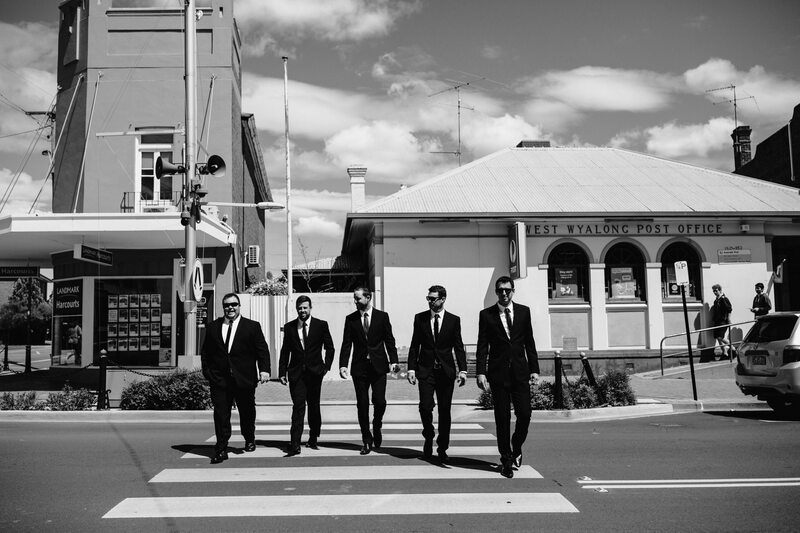 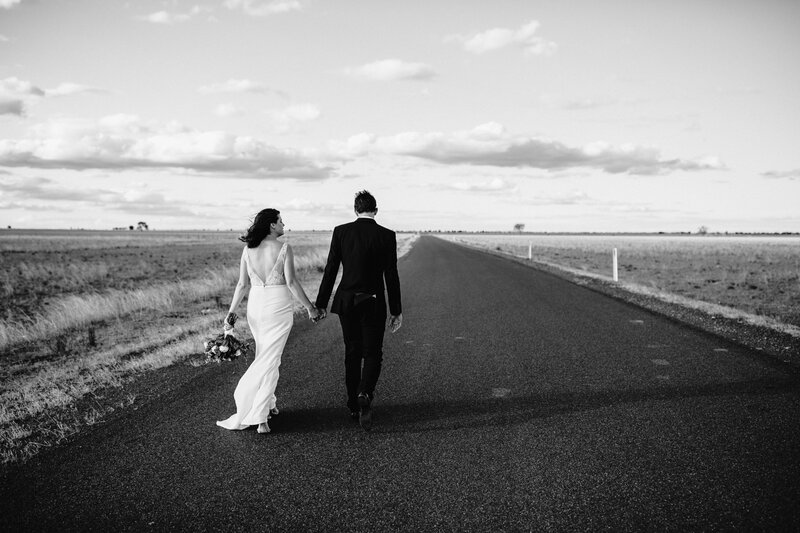 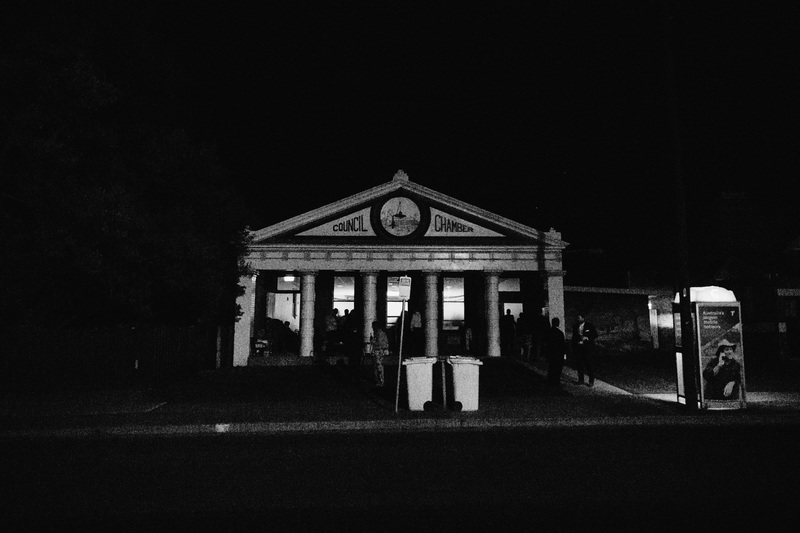 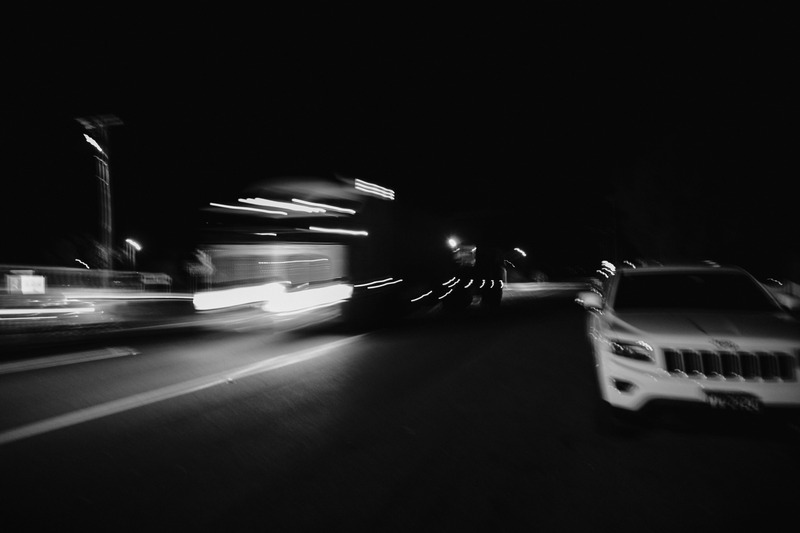 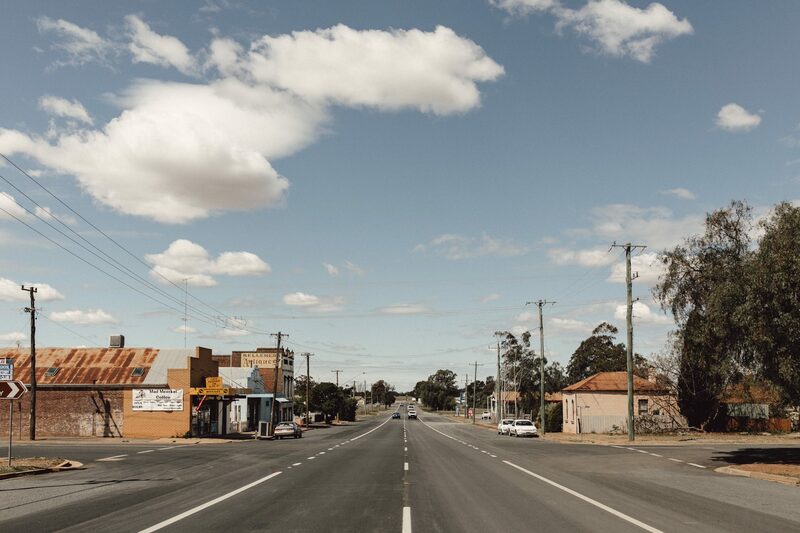 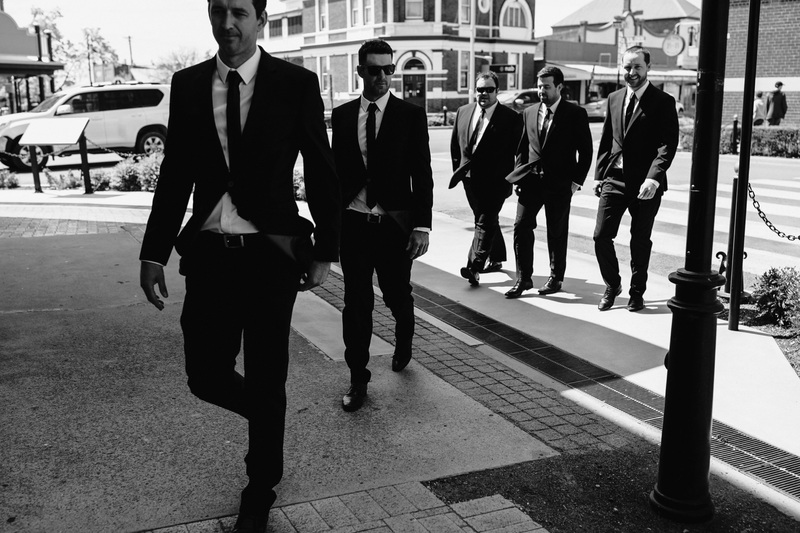 The picturesque town is at the crossroads of the Newell and Mid Western highways, has a rich gold mining history and was the home to Amanda and Grants quite EPIC country wedding. 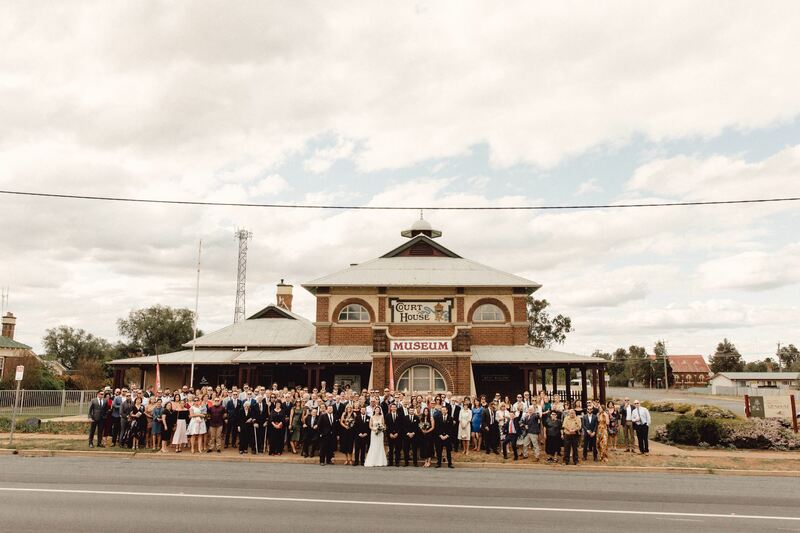 Now whilst the town lies in the shire of Bland, this wedding was anything BUT (excuse the pun – I’ve been waiting months to write that). 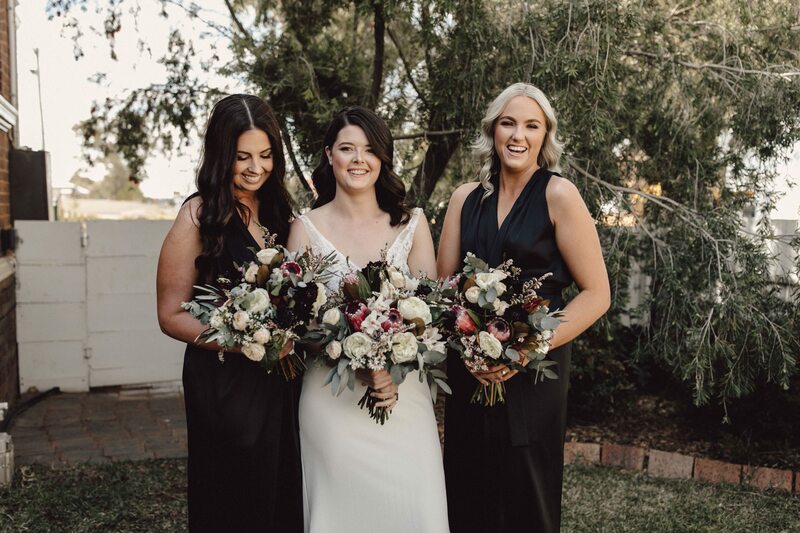 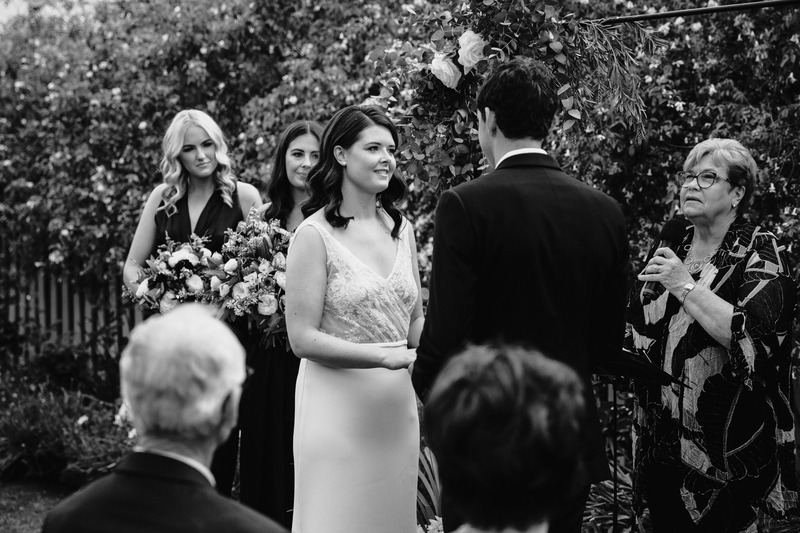 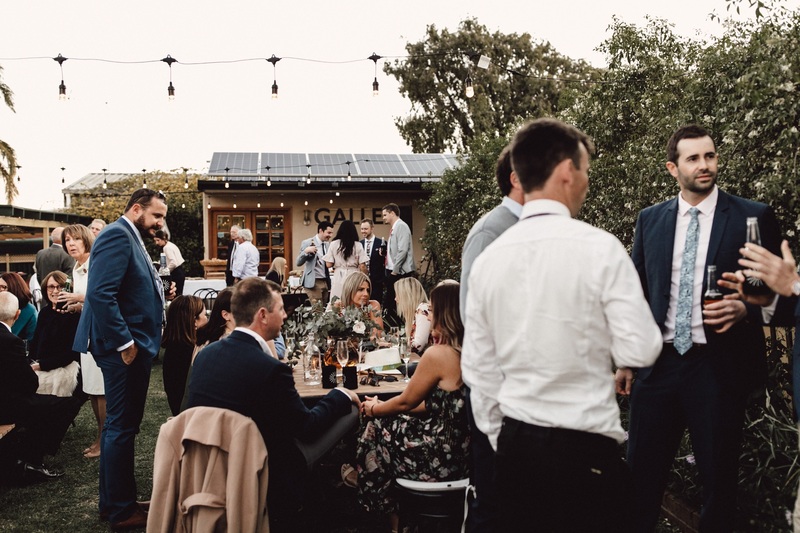 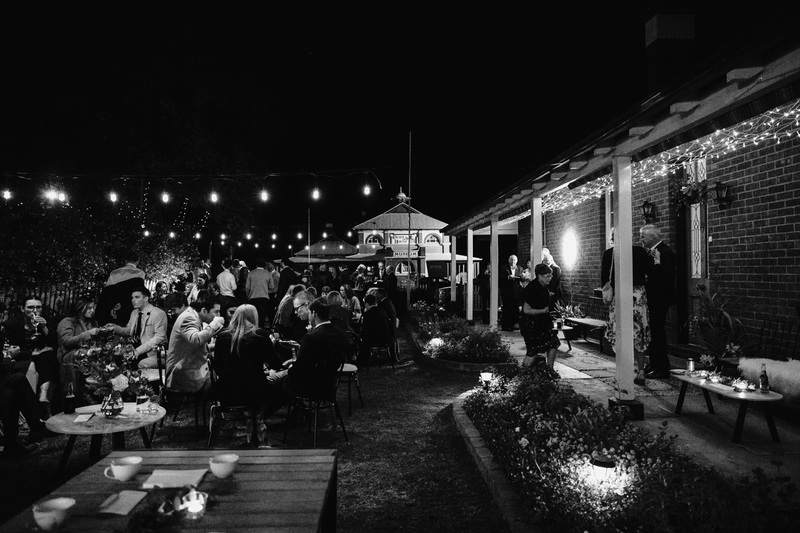 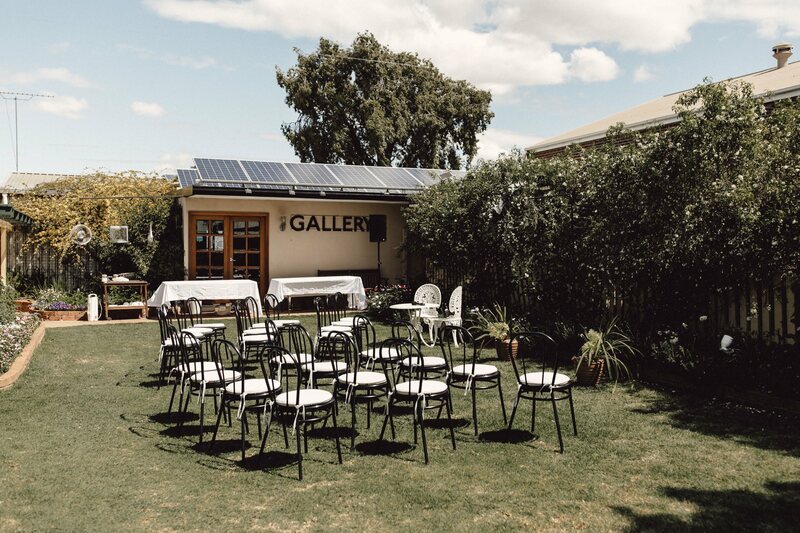 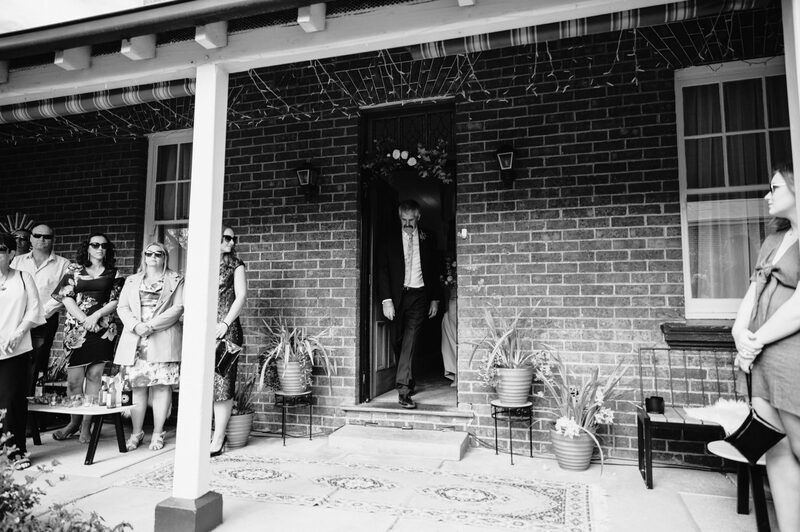 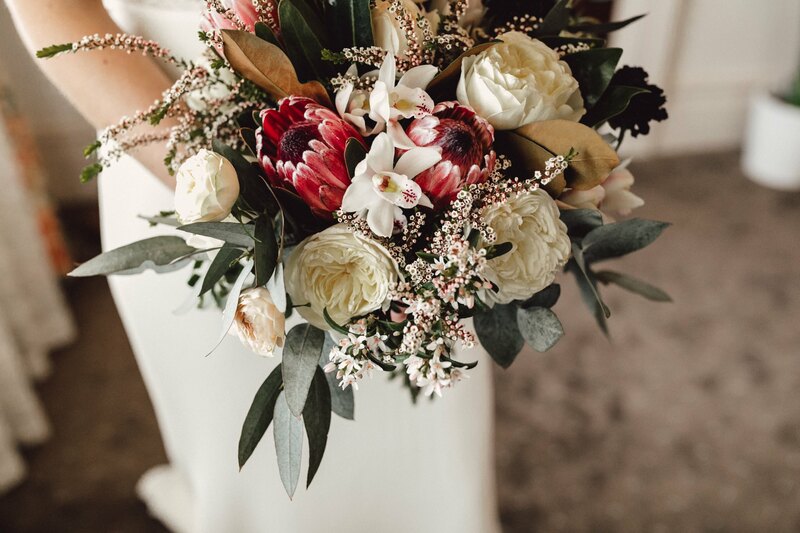 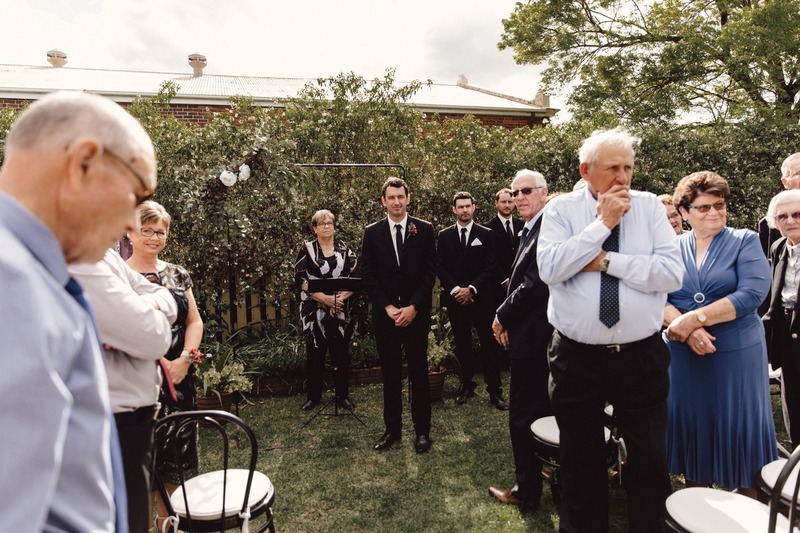 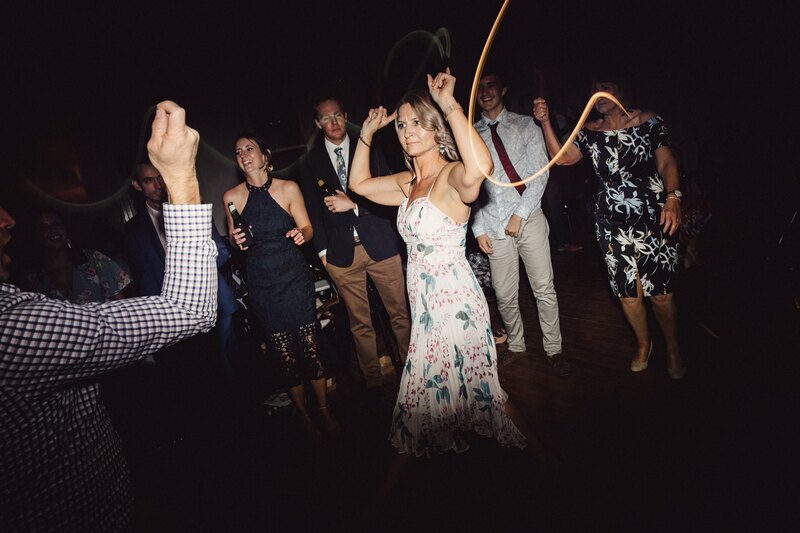 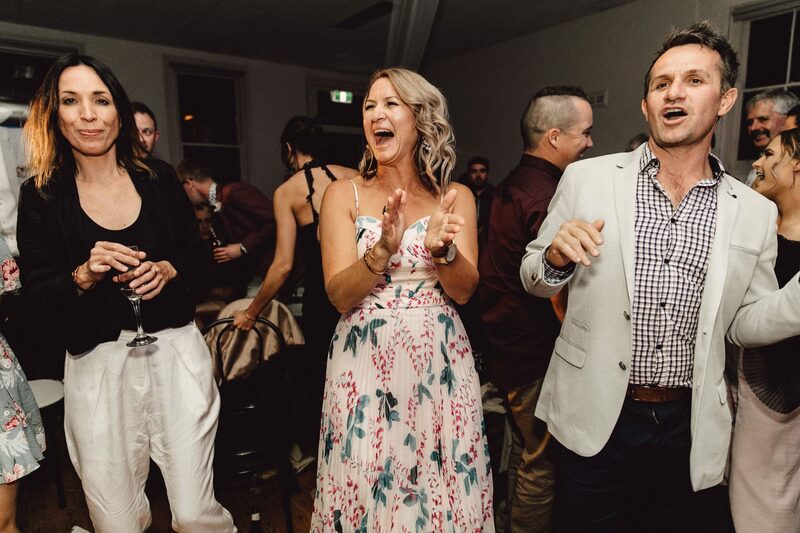 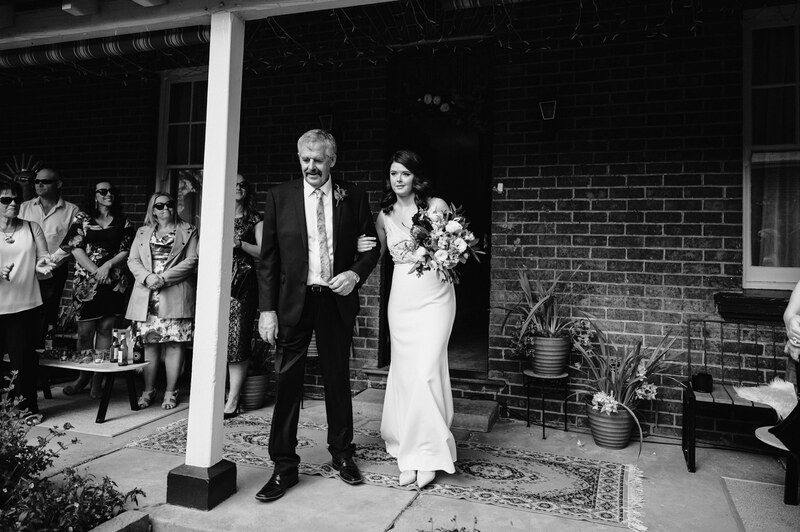 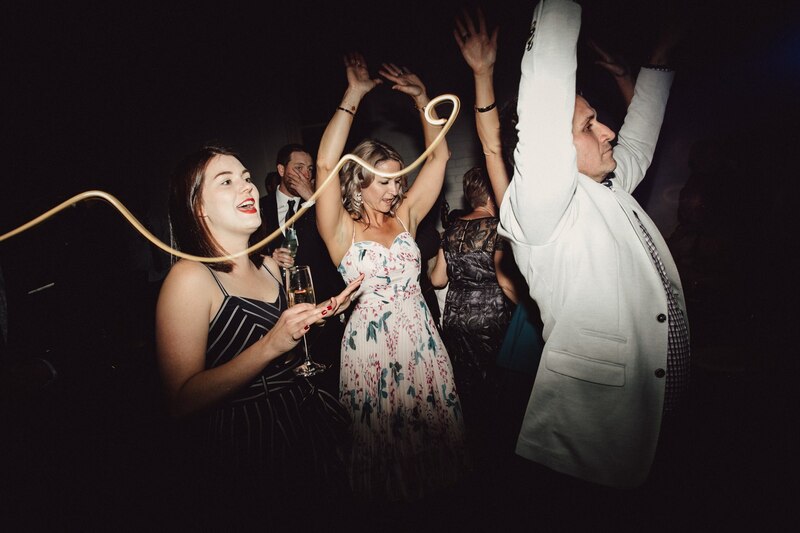 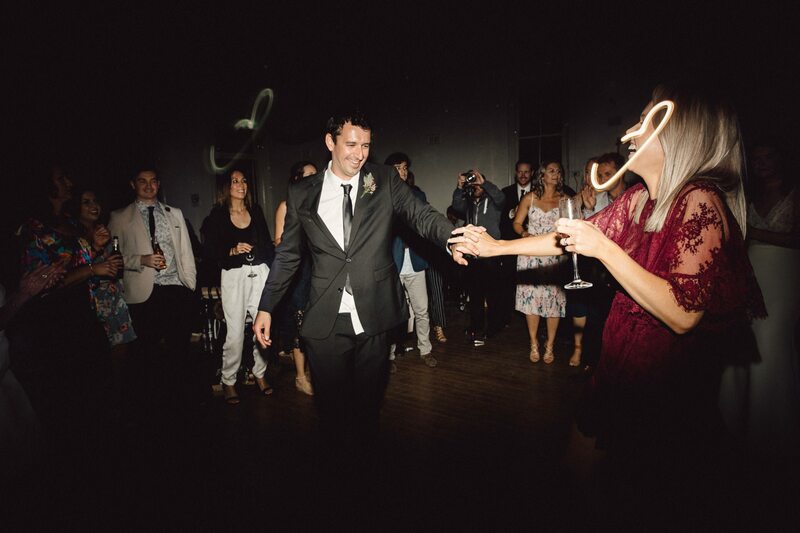 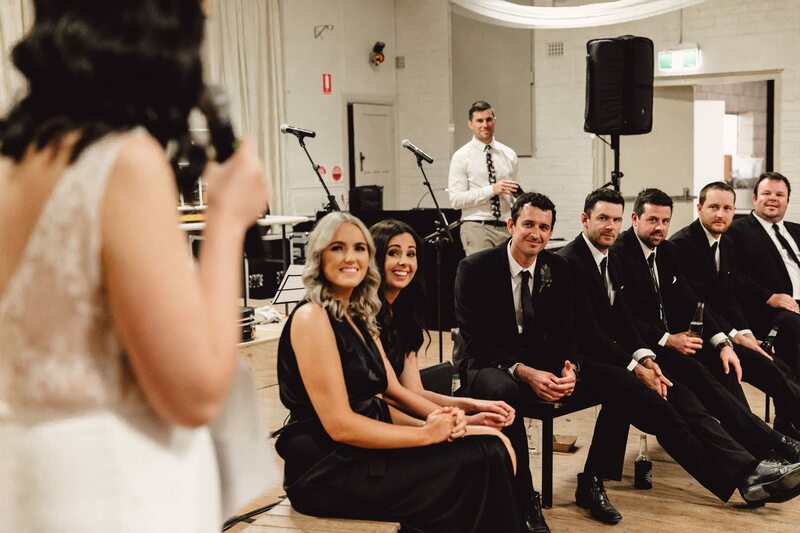 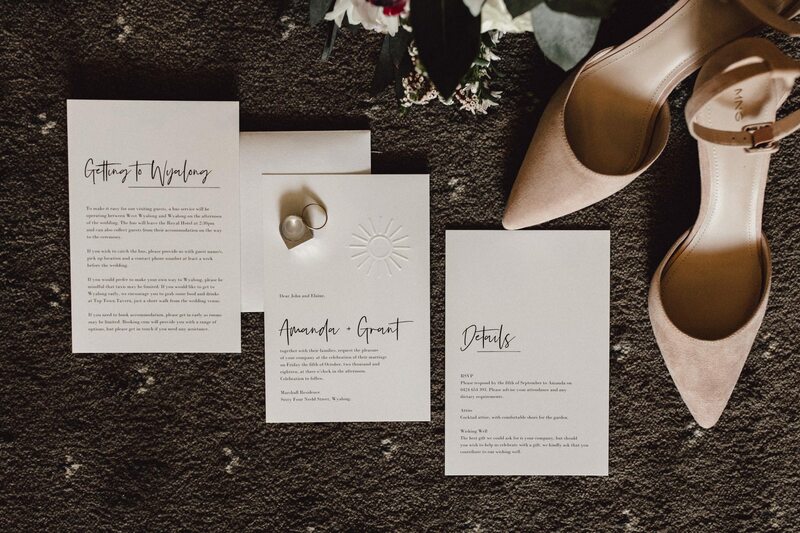 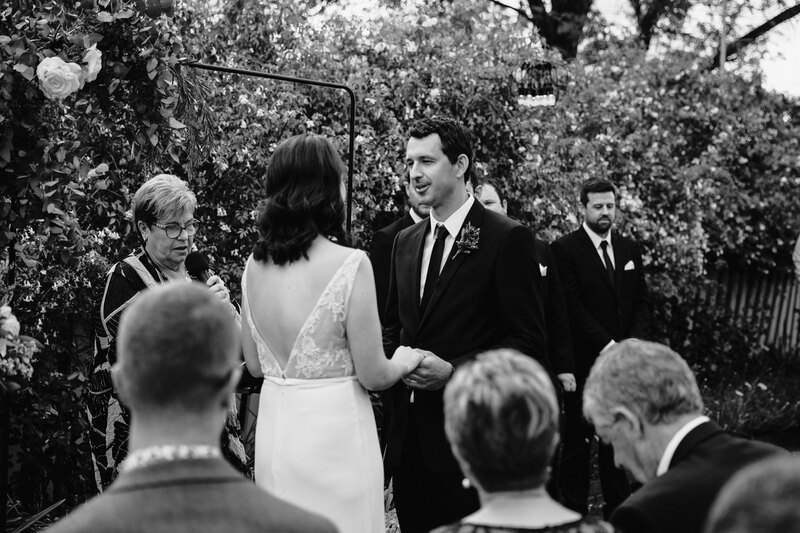 With over 200 guests descending on the tiny town, the ceremony in the back yard of Amanda’s mother’s house was chocka block full of love, excitement, beer, wine, grandma’s tulips, laughs, glamour and the list goes on! 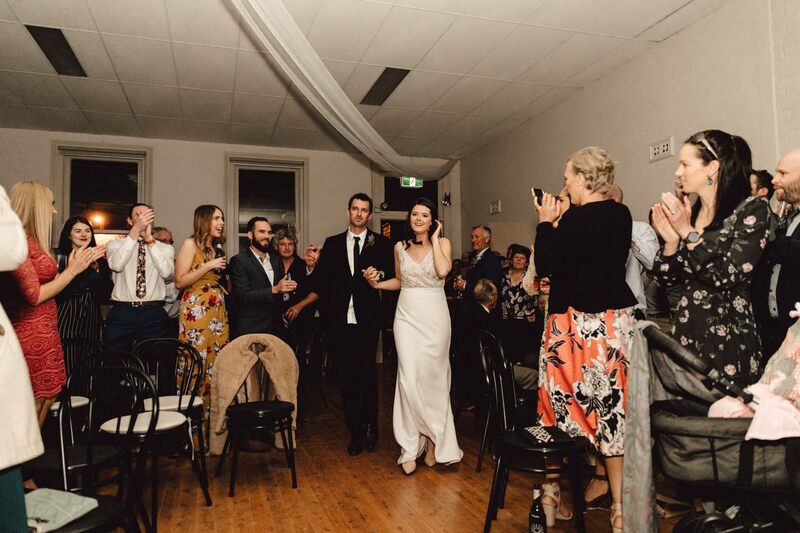 This huge turn out of guests (an obvious sign of the love everyone has for these two amazing humans) managed to make the day so enjoyable, with the wedding spilling out onto the highway in front and conveniently located memorial hall right next door for the reception. 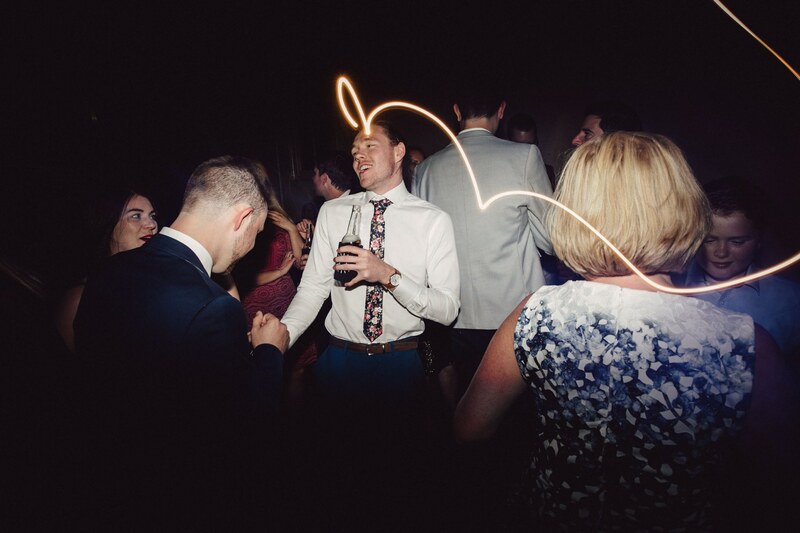 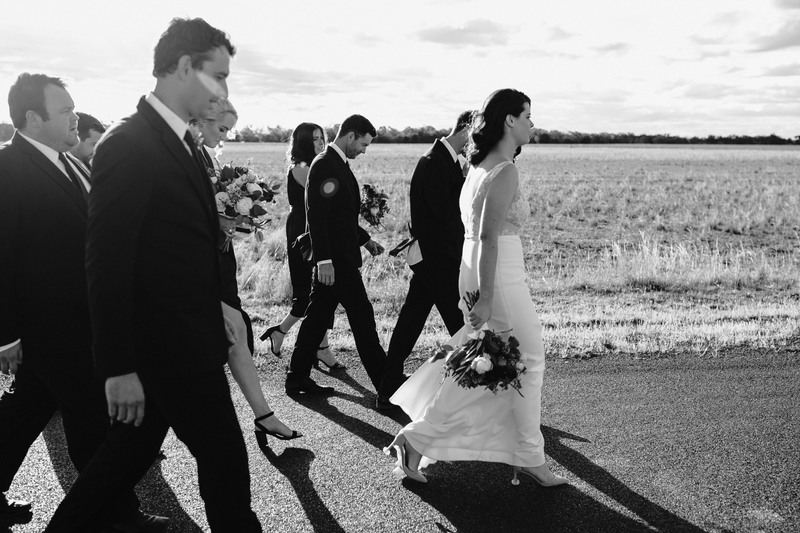 There is something very special about country weddings. 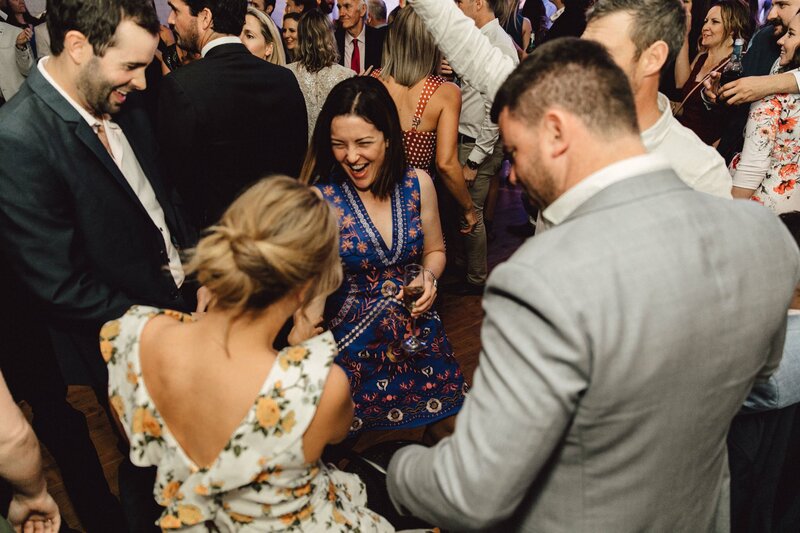 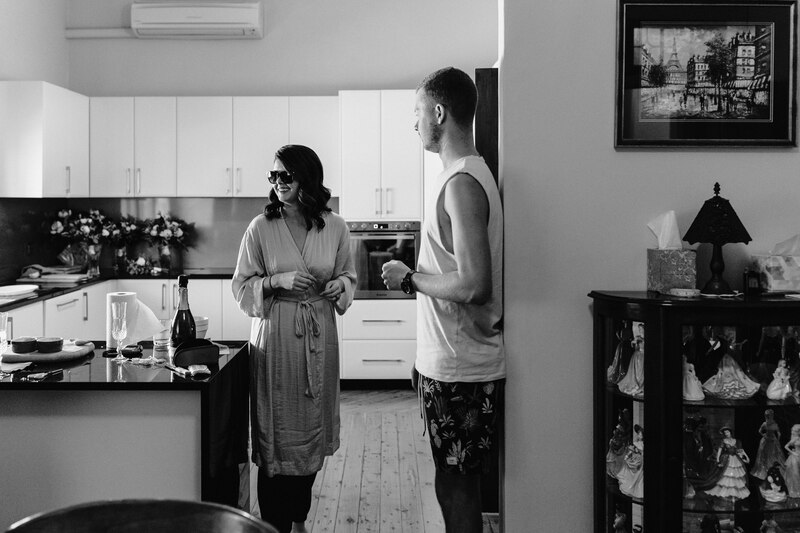 They always lend themselves to incredible unusual scenery to shoot in (especially for this Sunshine Coast gal), a very loose atmosphere and a fantastic party! 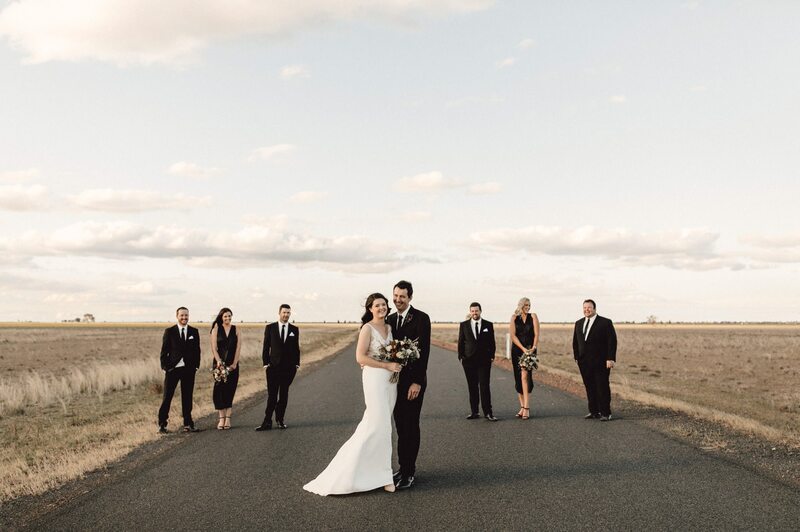 When Amanda suggested to take a 20min bus ride with the bridal party crew to a flood plain out of town for portaits, I couldn’t wait to go explore it the day prior! 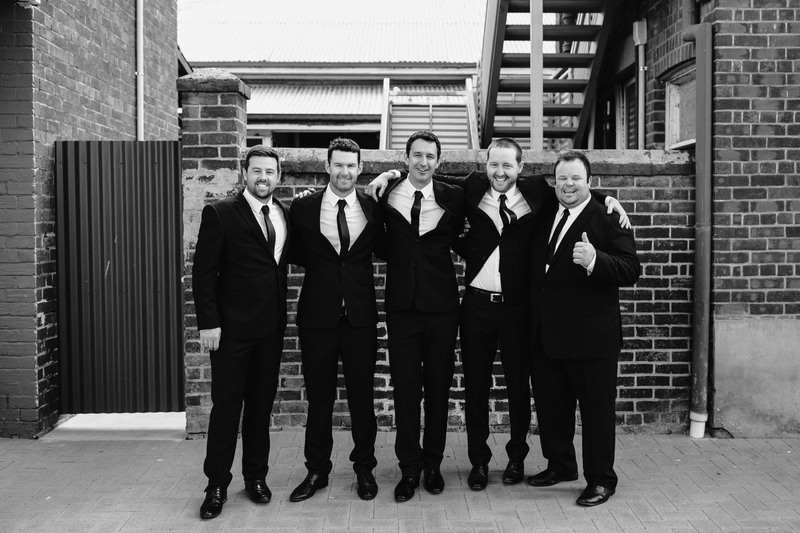 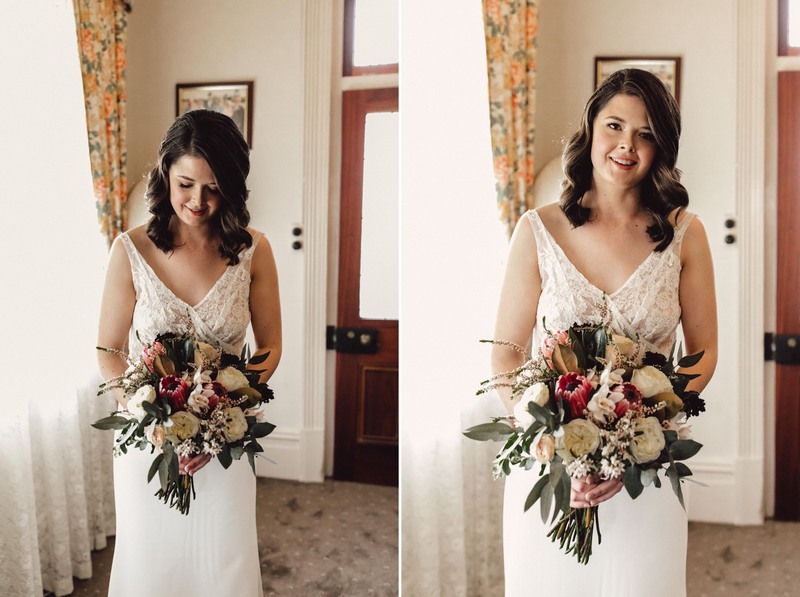 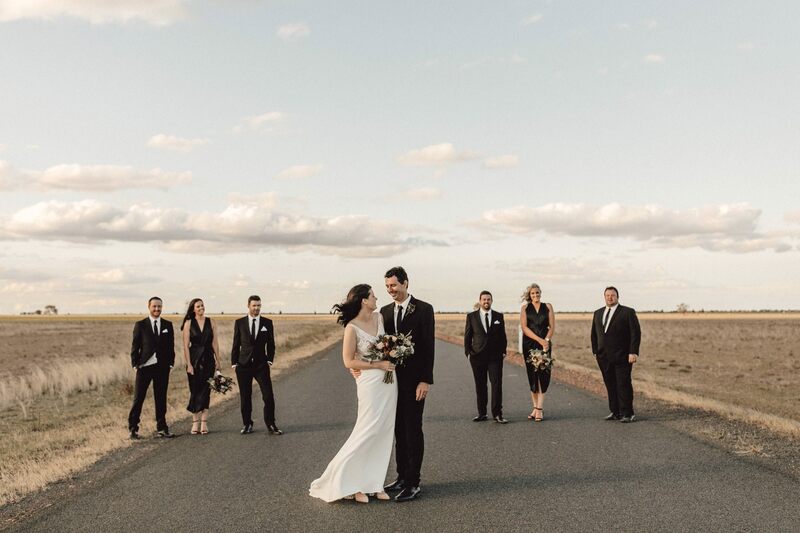 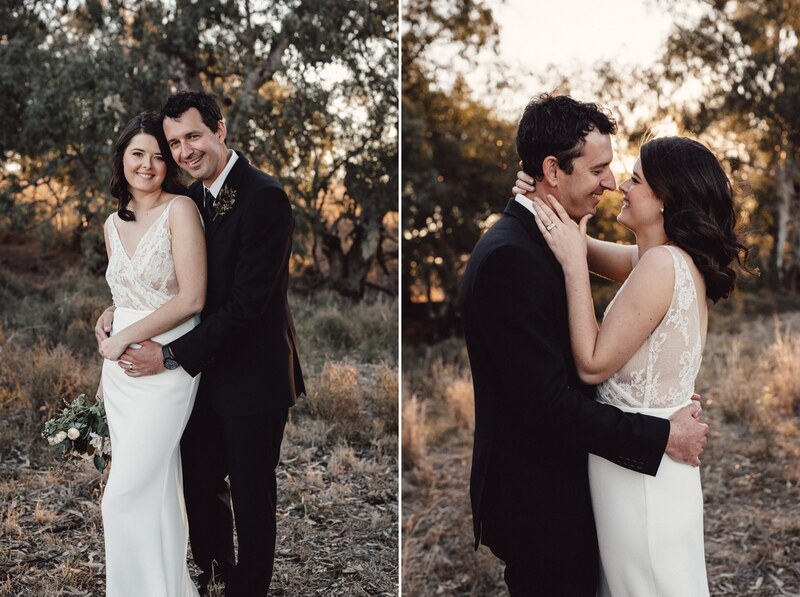 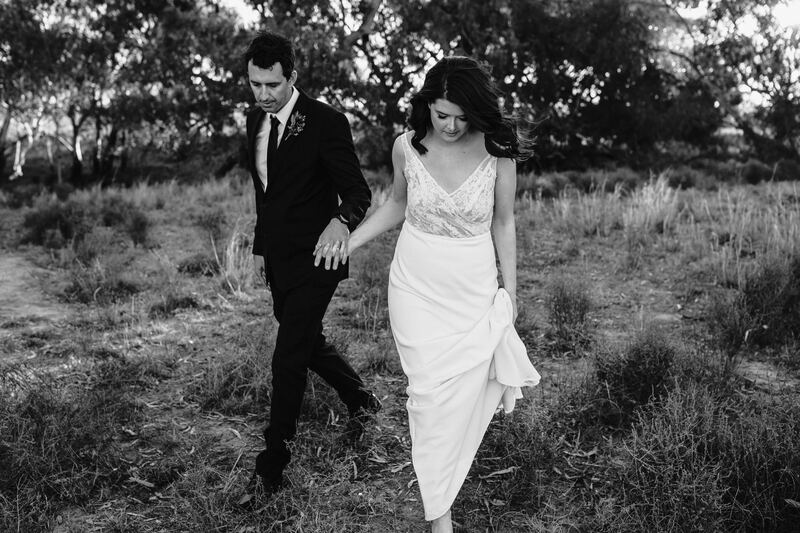 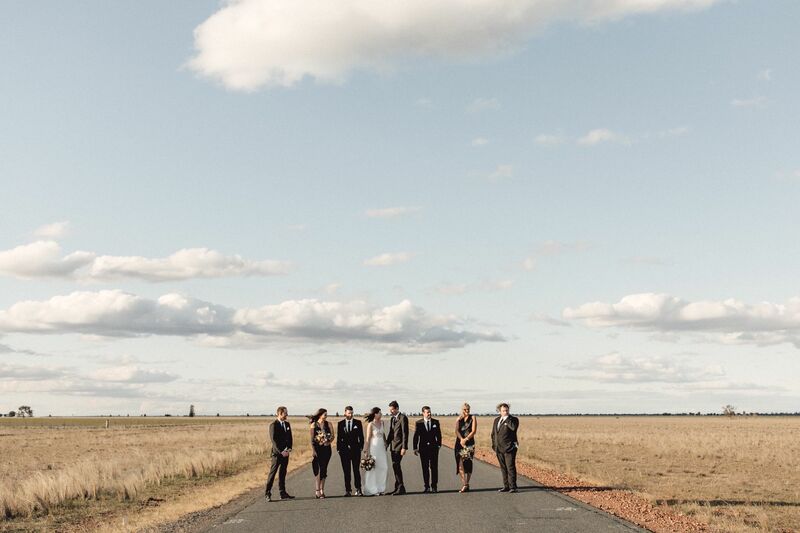 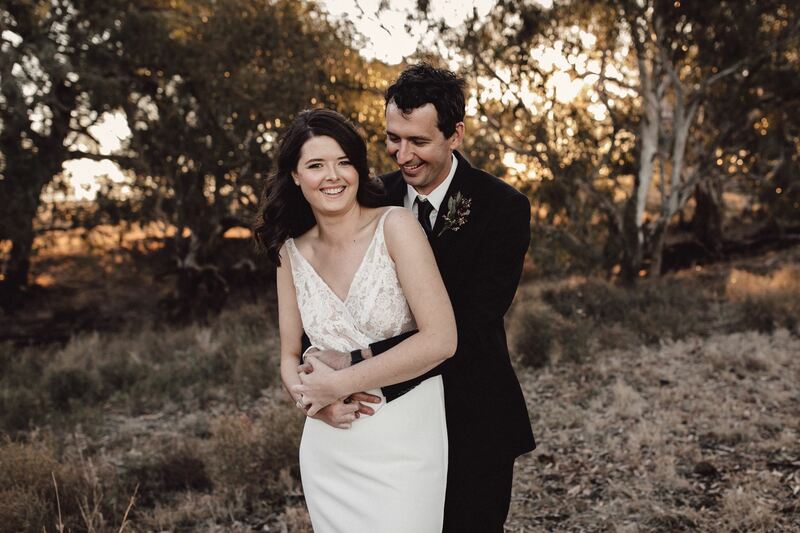 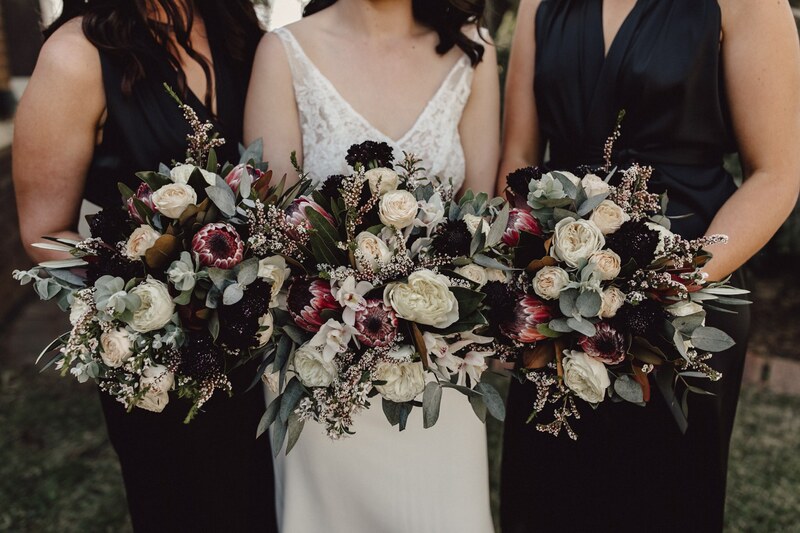 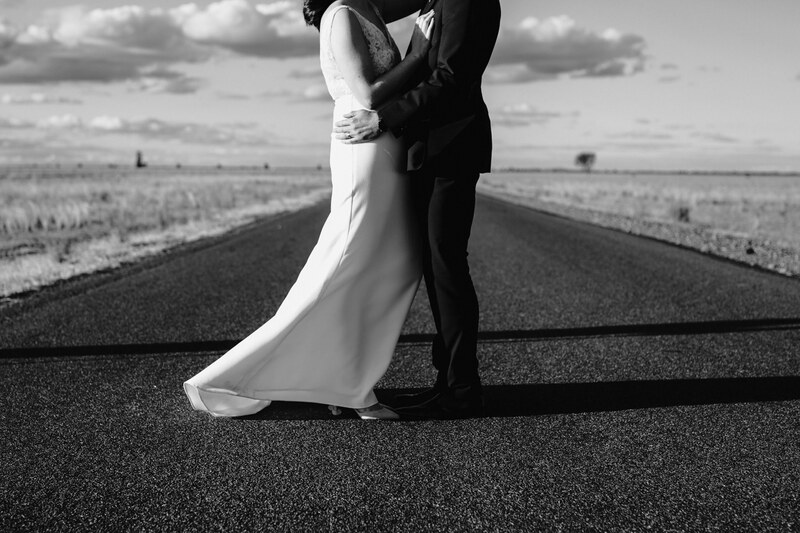 It represented the outback area so well and a perfect backdrop to the wedding: a harsh, dry rugged landscape to really make the beautiful bridal party and ton of love shown stand out. 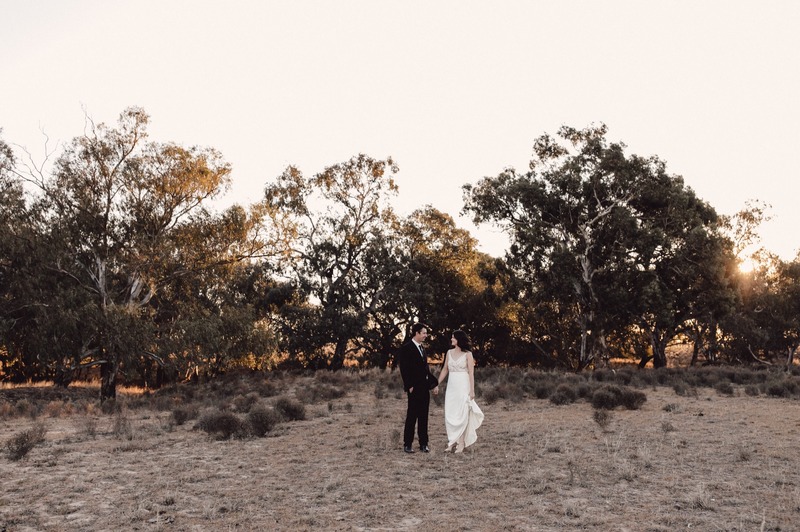 Combine that with an amazing sunset and I was like a pig in mud happy!